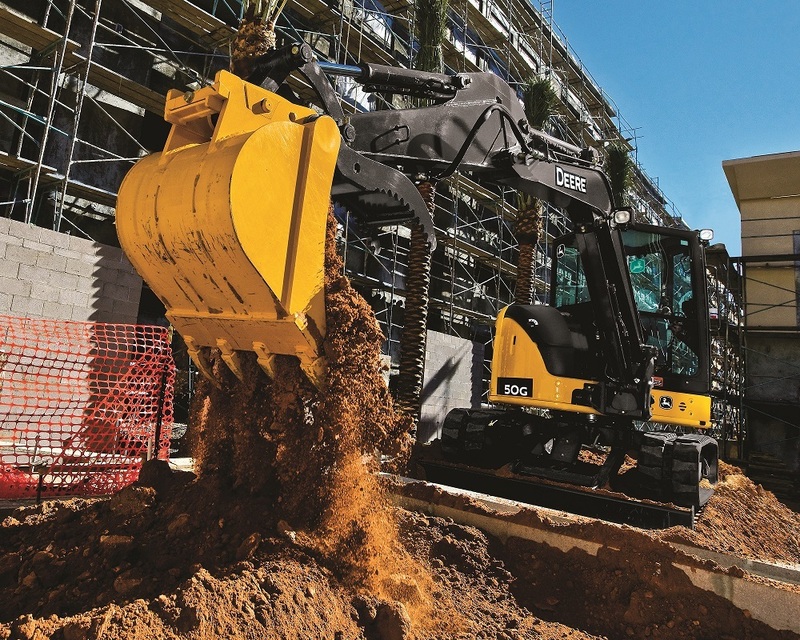 “What pattern are the controls in?” It’s a common question for those that rent excavators. For operators who are used to excavator controls or backhoe controls, using the opposite can be challenging and can cost productivity. Luckily, switching the control pattern on a John Deere excavator is quick and easy to do. When using ISO controls (excavator controls or John Deere controls), the right-hand controls the stick and bucket motions; the left-hand controls the swing and the boom. SAE controls (backhoe controls or CAT controls) are the opposite. On older models, changing the control pattern is a more time consuming and messy job that involves accessing the control valve assembly or junction box to change the four pilot hoses. On all current John Deere excavator rentals, the process is simple and can be done as many times as you need to accommodate different operators on a job site and their control preferences. If you have any questions about our construction equipment available for rent, contact our equipment experts at your nearestPapé Machinery location. We offer a wide variety of rental equipment with flexible terms and purchase options.